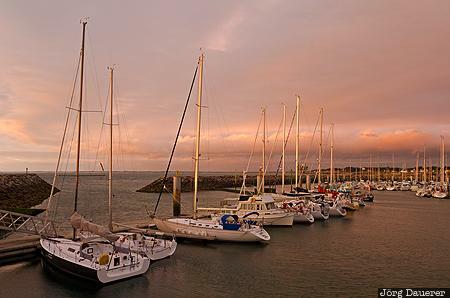 Colorful sunset clouds behind the boats in the harbor of Piriac-sur-Mer. Piriac-sur-Mer is in the department Loire-Atlantique (just south of Brittany) in the north-western part of France. This photo was taken in the evening of a rainy day in May of 2011. This photo was taken with a digital camera.